Searched forums to see if anyone has done this but couldn't find anything just people discussing it or shooting the idea down. I gutted the whole soft top assembly a loooooong time ago when the plastic window went to poop. Pushed me to invest in the hardtop while shaving off a decent amount of fat. I've also heard the tonneau cover was a PITA to put in but takes less than 5 minutes if your in my situation ha. Reason why I wanted this was to hopefully reduce some noise that comes from the trunk "also gutted" and didn't like the big gap for people to see including what I have in my trunk at that time. All that was required was just some tucking so I could tighten down the brackets that connect to the hardtop. Other than that it's straight forward. Anyone that's wanting or thinking of doing this ask away. Stay Classy! I have not installed a hard top but I am curious as to why you would remove the plastic "tray" that separates the trunk from the cabin. I put some B Quiet underneath my tray and stuffed the space between the tray and the spare/tank with 3M Thinsulate. It made a real difference in squelching extraneous sound. I also just "placed" a piece of Thinsulate to fit the tray as a sound absorber in the cabin. It just rest on top. My wife like to put her hat or light items back there too. BTW, when removing the tonneau cover, I use one of those plastic trim removal tools to pop out the snaps. Easier to get in there with one of those. Last edited by cosmomiller; 08-20-2014 at 02:40 AM. If I removed my top I would want the CR tonneau super bad. Your version is a nice (and much cheaper alternative). Good work! I guess it depends what brackets or hardtop you use. I got a mugen replica no fabricating just some tucking in. I liked the plastic tray in the back behind the seats, I use to put my dog there when I go out for joy rides "kidding" :P. When I yanked out the whole assembly I was in demolition mode and wasn't thinking about that part haha. With the setup I have now there would be no way for me to get back there with hardtop on. Got any pieces of your soft top left??? 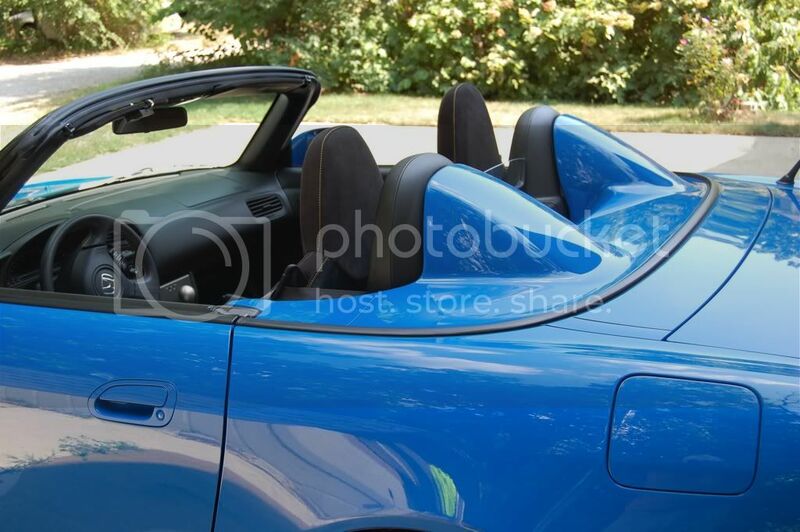 Quick Reply: Tonneau cover and hardtop same time!